Download Hand Holding iPhone Mockup PSD. 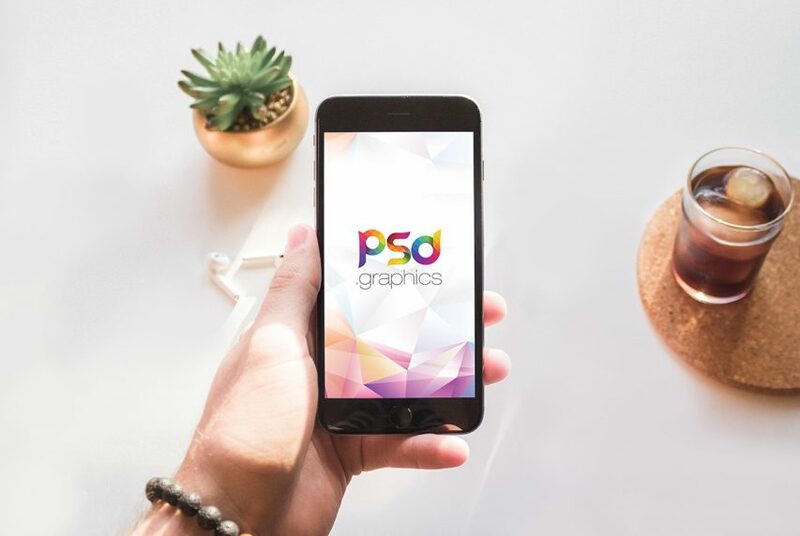 This is a neat, high quality free psd mockup of a hand holding iPhone which is perfect for showcasing your mobile app screens in photorealistic manner. This free mockup psd shows a person holding a iPhone which you can use in your websites to present your mobile application and ui design presentation in style. So If you want your work to look premium be sure to give this iPhone Mockup PSD a try. Anyone can download this Free iPhone mockup and use them to showcase the screenshots of their mobile app ui with minimum efforts. In order to add your design, just replace the smart object with your desired project. By changing the content of smart object with your design you will get your desired result in few seconds. So just download and use this Hand Holding iPhone Mockup PSD to give your design presentation a unique look. All in all this Hand Holding iPhone Mockup PSD has a modern and elegant look. This Free PSD resource comes with Easy & customizable PSD file arranged in groups and named perfectly which can save the time to create your own mockup. You can modify this Hand Holding iPhone Mockup as you wish. However you are free to use this Free PSD in your personal and commercial projects. If you are using this file please give some credits to psd.graphics Hope you like it. Enjoy!